53 year-old fashion designer Mala Lakhani, who was killed by her tailor, had helped him get out of jail, according to her sister Aarti Sharma. Mala was found brutally stabbed to death along with her domestic help Bahadur in her bungalow in upscale Vasant Kunj Enclave in the early hours of Thursday. 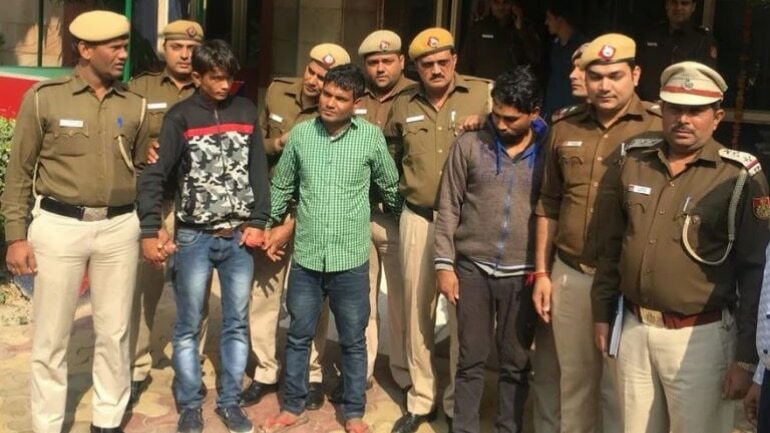 Three men have been arrested in connection with the murder — Mala’s master tailor Rahul Anwar (24), his cousin Rahmat (24) and his friend Wasim (25). “She would always say that Anwar is like my ‘bachcha’,” Aarti said. Aarti’s husband Rahul Sharma said Mala had even bought Anwar a motorcycle so he could commute to work. Rahul Anwar, the tailor, and two of his accomplices struck at the Vasant Kunj Enclave home of the fashion designer at around 10 in the night on Wednesday. The trio first stabbed the designer, who ran a boutique at South Delhi’s Green Park. When Lakhani’s house help Bahadur, 50, tried to save her, they stabbed him too. Anwar stabbed her so brutally and did not even spare her face, Aarti said, standing outside the hospital with her husband Rahul Sharma, the first person to see the bodies with multiple stab injuries in the workshop of the sprawling home. The bodies of Mala, who ran a boutique called Tulsi Creations, and Bahadur, a Nepalese national, were found with at least 18 stab injuries each. “I had spoken to her at around 8.15 pm (on Wednesday). I spoke to her again and we ended up talking till 9.50 pm. She wanted to speak to my daughter but later said she will call us after ‘Bigg Boss’ gets over. But she never called back,” Aarti told news agency PTI. She said she was aware of the monetary dispute between her sister and Anwar and had discussed it in detail with Mala. “Anwar wanted extra money for every cloth he stitched. They wanted some Rs 50 extra per piece for stitching. Since it was a meager amount, we would have sorted it. We had never thought they would hatch a conspiracy to kill her over it,” she said. The sisters had planned to meet on Sunday but an unexpected visit from a relative meant that they could not. “She was opening those cupboards on Wednesday to take out her things. Anwar must have thought she had kept cash in those cupboards, which is why they ransacked that room after killing Meenu and Bahadur,” Aarti said. Police informed the family that the three accused allegedly searched Bahadur’s room for money and were expecting to get Rs 30 lakh-40 lakh but did not find any cash. This entry was posted on January 27, 2019 at 12:07 pm	and is filed under Indian Muslim, Muslim attack on Hindus, Muslim Murders. You can follow any responses to this entry through the RSS 2.0 feed. You can leave a response, or trackback from your own site.